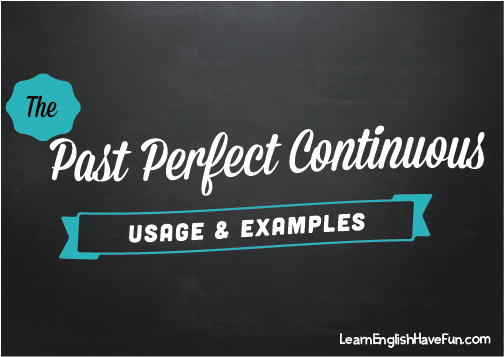 Are you wondering when to use the past perfect continuous tense? We will go over several different ways this tense is used with plenty of examples to help make everything clear. We can use this tense to talk about something that started in the past and continued until another point in the past. (Note: the action is completed. It started and continued for a time but it is now over and complete). Since we're describing how long something continued before another time in the past, we often use "for" and "since" with this tense. We had been waiting for two hours before we were seated at the restaurant. I'd been studying pre-medicine but changed my major to pre-law in my junior year. My parents had been arguing ever since honeymoon all the way until their divorce. My neighbor said my dog had been barking all morning. The sun had been shining all day and then the clouds rolled in. Before I moved into my own apartment I'd been living in a house with five roommates. Our trip to Paris was everything we had been dreaming of for the past ten years. My boss had been hinting there might be layoffs since the beginning of the year. This tense can be used to show the reason (cause and effect) of an action or situation in the past. I was exhausted because I had been working 80 hour weeks. The puddles of water made it clear it had been raining all night. I could tell my sister had been crying because her eyes were red and puffy. My grades were great last semester because I'd been studying every night. The plants died because we had actually been watering them too much. I didn't respond because there was a problem and I hadn't been getting your emails. We stopped going there because they hadn't been serving fresh foods like in the past. If we hadn't been waiting for you we would already be eating dinner by now. If you'd been listening to me you'd know the answer to that question. He would've done better in school if he hadn't been hanging with the wrong crowd. If she hadn't been getting regular check-ups they wouldn't have found the tumor. Had we not been sitting in rush-hour traffic we would've been their two hours ago. If I had been eating better all these years I'd be healthier. 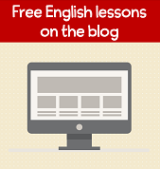 Click here to learn how to form the past perfect continuous tense. Positive and negative forms, questions, a review the irregular past participles and spelling changes are all reviewed.